The Cap d’Antibes is a wonderful holiday destination, being discrete, calm, ideal for families but also within close proximity to Cannes for those who are looking to shop or party. The Cap is also neighbors with Juan les Pins which is lively in the summer time, with many restaurants, ice cream parlous and several nightclubs. Below is a short guide of a few popular haunts on the Cap. The Cap d’Antibes is famous for one of Frances most beautiful hotels, the five star Hotel du Cap – Eden Roc, where people travel from a far to see and to be seen. The location was first discovered by Auguste de Villemessant, the incredibly intelligent founder of Le Figaro, one of Frances leading daily newspapers, in the 1870s. He built “Villa Soleil”, which was used as a writers retreat, for some time but was later to be left abandoned and a ruin. In 1887 Antoine Stella, a hotelier, discovered the site and built the original Hotel du Cap, and the world famous hotel finally opened its doors in 1889. Interesting fact : in these days, the Mediterranean was considered a winter destination, and the clientele was local. Antoine Stella has a vision to create a summer demand, and used dynamite to create the infamous water front swimming pool which is carved into the rocks. From this time on, the hotel brought many famous names to the area, from writers to film stars to movie producers, Kings and Queens. During the Second World War, the Hotel du Cap Eden Roc was served as a military hospital and was occupied for three years by Allied forces. At the end of the war, General Eisenhower paid a visit to the hotel as a gesture of gratitude and acknowledgement. 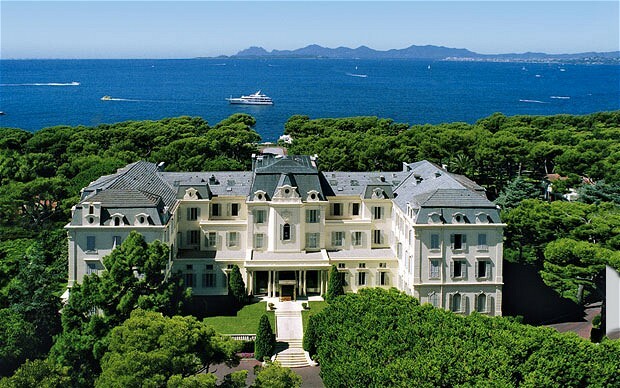 The Hotel du Cap is now and has been for many years, the place on the coast amongst the hollywood jet set, Vanity Fair host their annual party here during the Cannes Film Festival. Dior made the most stunning advertising campaign there with Nathalie Portman running out on her wedding, AMFAR host their annuel event there, the list goes on. And guess what? For the non celebrities, we can still hang out there 🙂 A fabulous pool located on the water front, two excellent restaurants (one gastronomical), and one of the most beautiful settings in the world. It is one of the most beautiful places in the world for people to relax, eat, drink, make friends and just be cool ! Another popular spot on the Cap is the Plage Keller, which is ideal for families as it is located on a sandy beach, and offering a fabulous menu, specialising in fresh fish. A little more low key than the Hotel du Cap – Eden Roc, but it can be just as fun. Offering one of the most wonderful views on the French Riviera, this is an ideal setting for relaxed lunches or chilled out dinners. It is also a popular destination for wedding celebrations or cocktail receptions, offering a super address and a wonderful setting. The Cap d’Antibes Beach Hotel is a popular address, being a wonderful five star Relais & Chateau hotel and offering the gastronomical restaurant Les Pecheurs. A sought out venue, partly due to its excellent location on the West side of the Cap, within easy walking distance to Juan les Pins and also the fact that it is located right on the beach! The hotel offers two restaurants, a sophisticated bar, and a spa. A very renowned restaurant on the Cap d’Antibes is Bacon, a family run gourmet establishment, wither 60 years experience and specialising in fish. The restaurant was awarded a Michelin star in 1979, thanks to their fabulous chef, Serge Philippin.